I once had a roommate who made avocado tacos. At first appearance it seemed almost too easy to me, but then she let me try on. And try it I did, over and over, and over again. 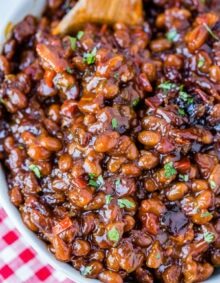 They were delicious, light, easy and surprisingly flavorful. And then I got married, moved out and totally forgot about them for a few years. And then enters my darling friend, Lisa. Lisa is a vegetarian and although I’m all about the meat I find myself frustrated for her when people or restaurants don’t have options for vegetarians. Obviously sometimes it’s just that people aren’t familiar enough with vegetarian eating that they forget that if they host a BBQ they should probably have something besides a green salad for my sweet friend to eat, although she would never complain. And restaurants, well I actually think there is no excuse for not having at least a couple of vegetarian options unless it’s something like a hot dog place etc. Someplace that obviously specializes in just meat. How Do You Keep A Cut Avocado From Turning Black? You can tightly cover an avocado with plastic to slow down the darkening process. 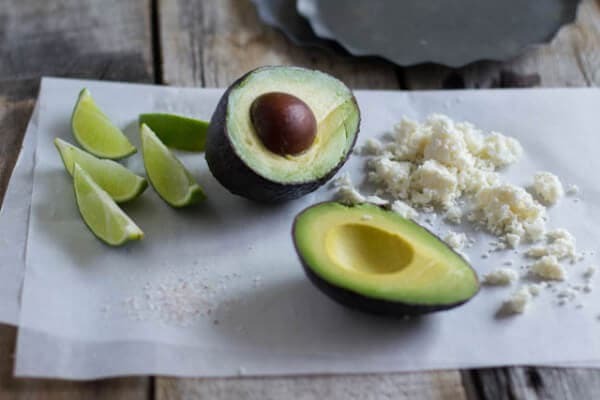 You can also sprinkle a little lemon or lime juice on the cut avocado and then cover. Are Avocados Fruit or Vegetable? Avocados are high in antioxidants. These nutrients are very important for eye health and lower your risk of macular degeneration and cataracts. 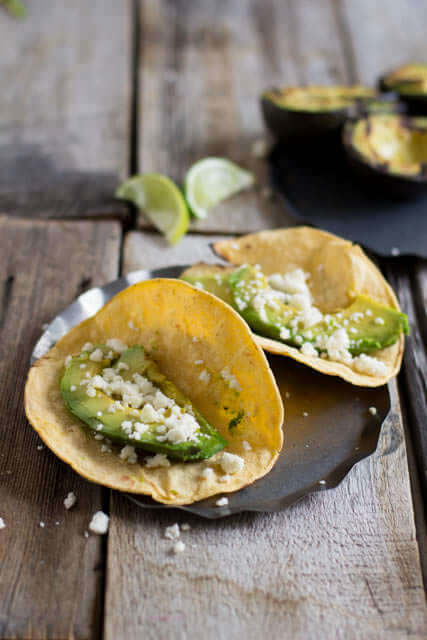 What is Queso Fresco Cheese? Queso Fresco cheese is a creamy, soft, and mild unaged white cheese. It is often used in Latin American countries including Mexico. Queso Fresco cheese is similar to Feta cheese. Cut open the avocado and remove the pit. Do not remove from the peel yet. Brush each open face with olive oil, and sprinkle with salt and pepper. Place inside down on the grill and cook for 2-5 minutes or until grill marks have appeared. Remove from the grill and allow to cool while you proceed. 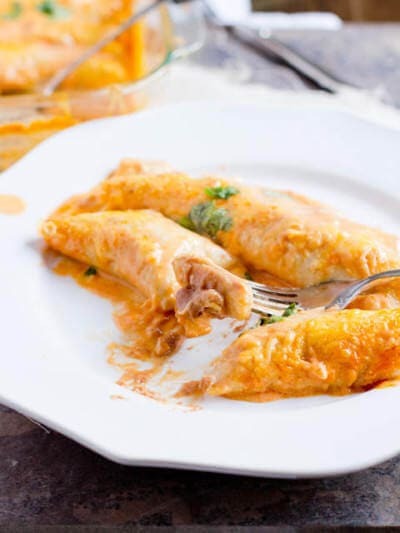 Place each tortilla on the grill and grill each side for a few seconds, flip, and cook again, until grill marks begin to form and the tortilla puffs slightly. Remove from the grill and set on a plate. 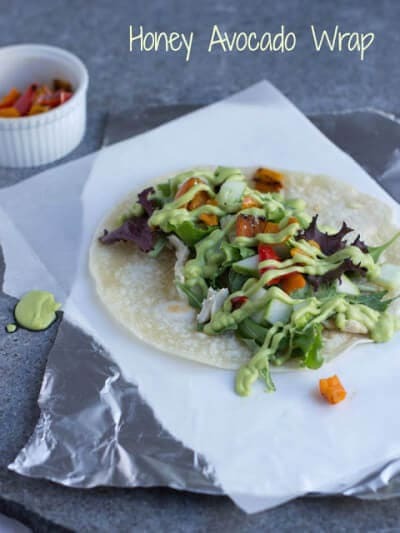 Slice the avocado in 1/8 inch slices lengthwise, remove from the peel, and layer a few slices in each tortilla with a little cheese and a squirt or two of lime juice. Yum! 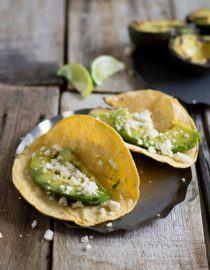 I just had fried avocado tacos in Texas and am looking forward to trying a healthier version! It was so nice meeting you at BHF! The avocado-obsesser in me approves. You’ll love them!! They are seriously so simple it’s almost misleading but they are all kinds of wonderful. I never thought you could actually cook an avocado….though my husband has repeatedly asked me to do so. I just didn’t think it’d be good. But these grilled ones look awesome. I really can’t wait to try this AND show my husband we can do this! I remember hearing about cooked avocados a long time ago, but thinking it was so weird, and I was so wrong! YUMMY! 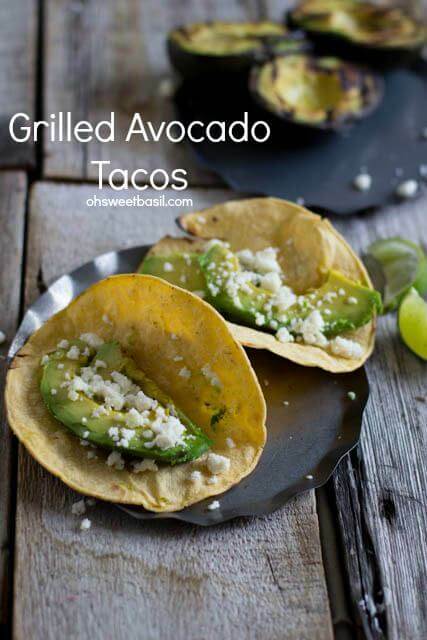 Grilled avocados!! You know I am going to be all over these!! I love them and I love you for providing me with this awesome recipe. Thank you! What a brilliant, simple and delicious idea! I absolutely LOVE avocados! Can’t wait to try these for Taco Tuesday! Ok – not even kidding you. Last night, I was talking to my sister about grilled avocados, because I had done some for a recipe I’m doing for someone. Then she texted me this morning saying that someone on Studio 5 was doing grilled avocados. I about died when I looked it up and saw it was you!! I knew we were meant to be friends – it seems as though we are often on the same wavelength!! Love these and want them! Can I have one of each of those pictures? Yum! The boys in my family usually hog all the taco meat on taco night, so it’s pretty common for me to do a guac taco. Plain avocado would be even easier! Love it! 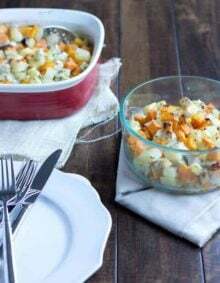 Sometimes its the simple recipes that makes us in love with them even more. 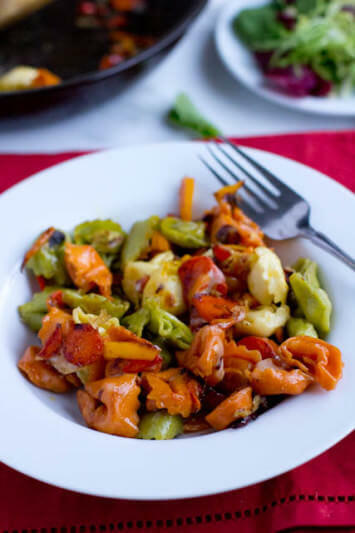 Just saw you on studio 5 and couldn’t wait to pin your recipe….looks delish! By the way, you are a natural in front of the camera. Thanks for the new recipe….can’t wait to try it out on the family. How funny I posted avocado tacos today too! I should’ve sprinkled mine with that or cotija cheese as well. I can’t wait to try these!!! They look amazing and delicious, Carrian!!! 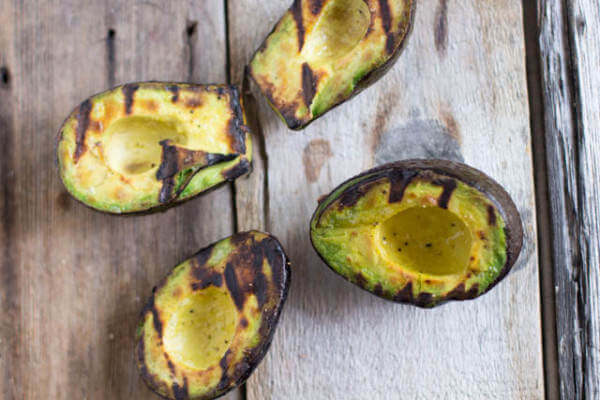 I seriously LOVE grilled avocados!